Original. Independent. Local. These terms have integrated themselves into our daily lives. Whether you loyally buy your produce every week from the farmers market, prefer the local hardware store because they give the best advice, or display that one-of-a-kind piece you saw being made at the gallery down the street; you are contributing to your community. Buying American made products promotes tradition, creativity, and originality. Just a couple of the reasons why we have over 275 products handcrafted by artists in the USA. 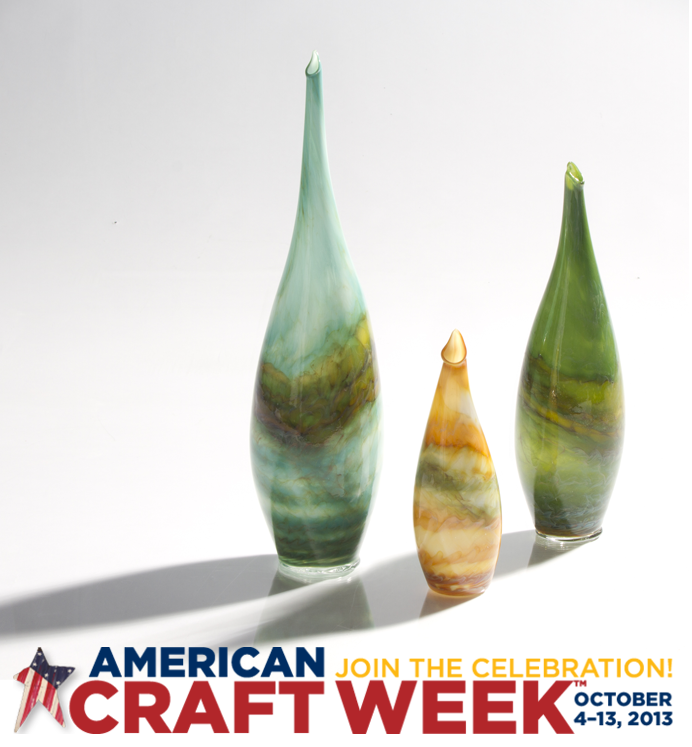 Join us in celebrating American Craft Week, a whole ten days designed to appreciate our local artisans. Click here to see events in your area.